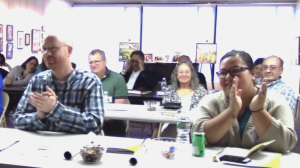 Watertown, MA – The Genocide Education Project (GenEd) provided a full-day workshop on teaching about the Armenian Genocide for Boston-area History and English teachers on June 10th. 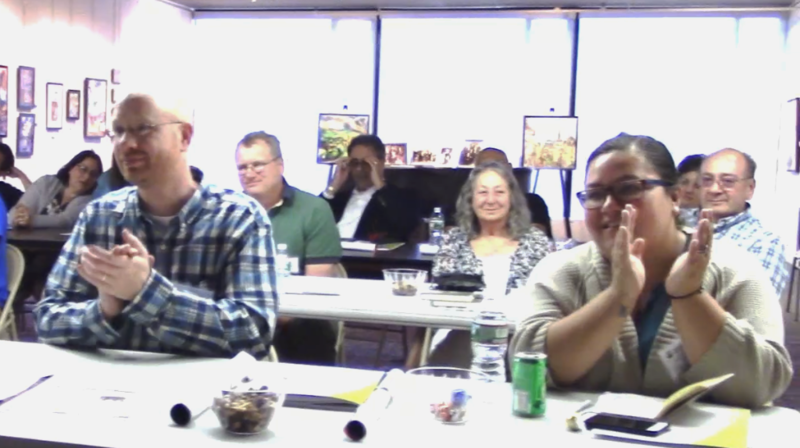 Held at the Armenian Library and Museum of America, the training covered historical context as well as various approaches to teaching the subject, including the use of survivor testimony, photographs, documentary film, book reading assignments, and persuasive composition. Teachers also met a local 106-year old Armenian Genocide survivor and were given a tour of the museum and library, and provided a traditional Armenian luncheon. “I have been teaching for over 25 years and I have been to a lot of conferences, and this was by far one of the best. 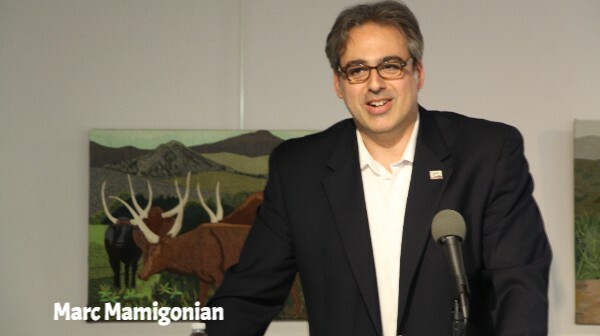 The survivor presentation was incredible as were the other speakers and many resources,” said Joanna Honig, Watertown High School English teacher. 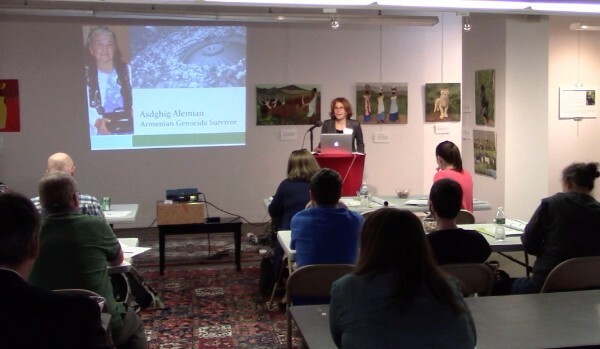 Co-hosted by Armenian Library and Museum of America, the National Association for Armenian Studies and Research, Watertown and Boston Public Schools, and Project Save, and with the participation of the USC Shoah Foundation, the free workshop also provided numerous instructional materials, including a variety of lesson plans and a classroom poster and guidance through the downloadable resources, an online interactive lesson, and classroom videos accessible through GenEd’s website. Sara Cohan, USC Shoah Foundation Armenian Education & Outreach Specialist and education advisor to GenEd, discussed the value of the Armenian case in genocide coursework. Cohan also introduced teachers to interviews of Armenian Genocide survivors filmed by documentary filmmaker, J. Michael Hagopian, and now being preserved, cataloged and posted online by USC Shoah Foundation. 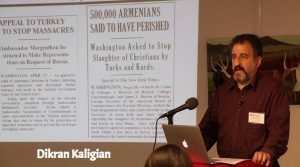 Dr. Dikran Kaligian, historian and GenEd Board member, provided the historical and political context, timeline, and methodology of the Armenian Genocide, as well as the U.S. humanitarian response, and the government of Turkey’s denial of event and its ramifications on education, international affairs, and US policy. GenEd Board Member Roxanne Makasdjian presented the biography of Genocide survivor Asdghig Alemian and then conducted a live interview with Alemian. After her father and the other men of the town were killed by Turkish authorities, Alemian, her mother, sister, and two brothers were forced onto the death march into Syria. After her two brothers died on the trek, her mother gave her five-year old Asdghig and her older sister to a Turkish policeman, who smuggled them in large bags of plums loaded onto a mule, to a Turkish home. There, the girls were treated as servants and abused, forced to denounce their Christian faith, and punished severely for speaking Armenian. Asdghig was later sent to another Turkish home in Aleppo. Asdghig told the workshop teachers of the anguish she felt when separated from her sister. 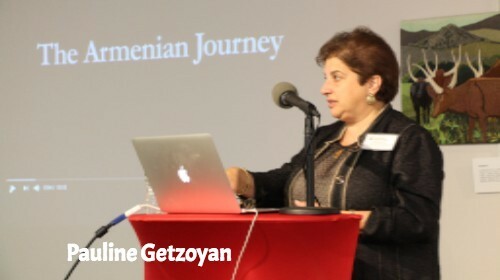 Her sister escaped and the two were rescued, spending several years at Aleppo’s Evangelical Armenian orphanage, before relocating to their uncle’s home in Massachusetts. Asdghig married another Genocide survivor from Keghi and together they ran a grocery and raised a family. 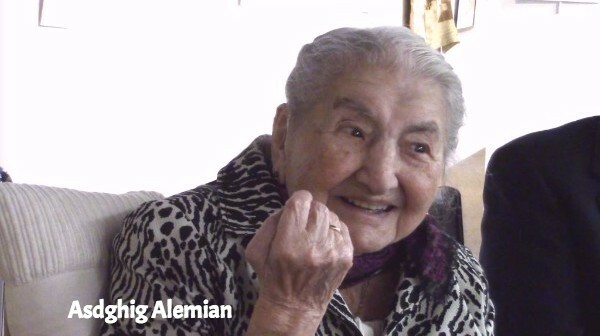 “It was a great privilege for me to learn about Asdghig’s extraordinary life and introduce her to the educators, to allow us all the benefit of her life experience and inner strength,” said Makasdjian. 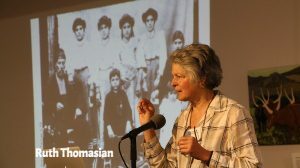 Ruth Thomasian, Executive Director of Project SAVE – the Armenian Photograph Archive, discussed how she collects and uses family photographs as a teaching tool and window into the life of Armenians in the past. 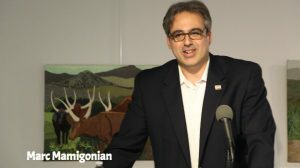 Marc Mamigonian, Director of Academic Affairs at the National Association for Armenian Studies and Research focused on how novels and memoirs about the Armenian Genocide are valuable resources for English Language Arts and Humanities courses. 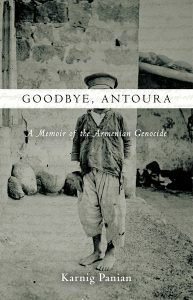 Highlighting the books Forgotten Fire, Black Dog of Fate, Goodbye Antoura, and My Name is Aram, Mamigonian described their value both as good literature and as historical instruction. GenEd’s Rhode Island branch co-director, Pauline Getzoyan introduced GenEd’s 12-minute video documentary, “The Armenian Journey,” based on her grandmother’s story of Armenian Genocide survival and directed them to GenEd’s teaching guidebook accompanying the video, as well as instructions for the assignment she gives her writing course students on writing a persuasive essay on the topic of the Armenian Genocide. Houry Boyamian, St. Stephen’s Armenian Elementary School principal,presented “Goodbye Antoura”, her father’s recently translated memoir of his genocide experience, institutionalization and abuse in a Turkish orphanage, and his escape to freedom. 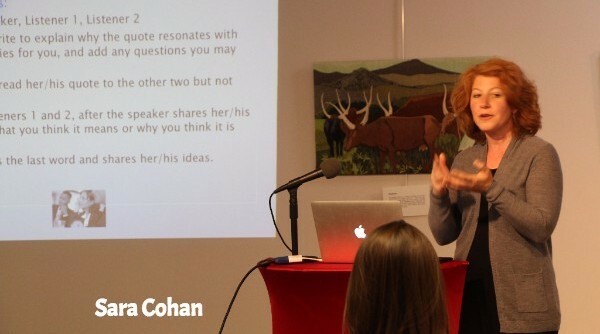 Boyamian offered to serve as a resource as a classroom speaker and consultant for Boston-area schools.